Lindsey Racing's new Stage V Header Panels. You can use them with or without our Stage V Intercooler. Several customers have future plans to purchase our larger intercooler but for now just want the fiberglass. Some have already purchased our Stage I or II intercooler and like the more aggressive look of the Stage V Header Panel. 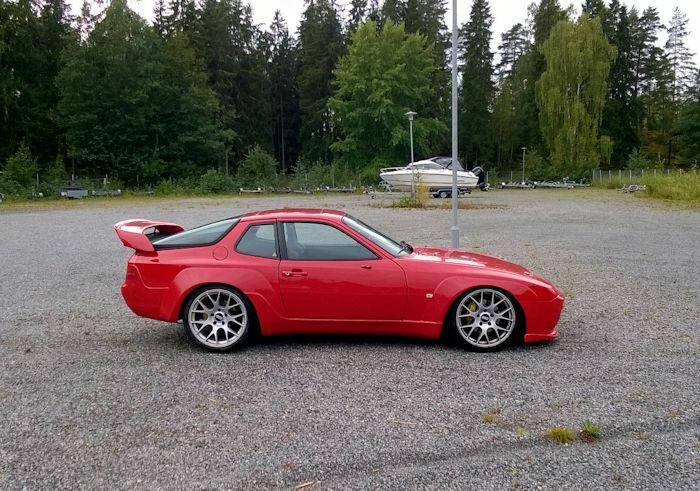 Then there are those who want it all right up front and buy the Stage V Intercooler and Header. Performance and great looks. Our race car shown here uses the optional NACA ducts. 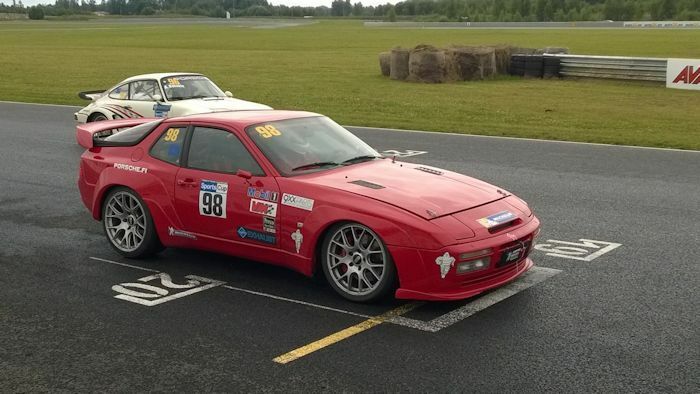 Here our customer Karl Wasner shows off his beautiful red 951 at the track. His car uses the Stage V Header panel for a car with headlights still intact. It offers a large opening for the intercooler to supply it with plenty of outside air to help cool the charge air. It also gives the car a more aggressive front view. This White 88 Turbo S uses the Stage V Header and our NACA Duct Headlight Panel. You can see the large Stage V Intercooler through the large opening on the panel. Both versions of the Stage V Panel are shown here. One for race cars without headlights (top) and one for race and street cars with headlights (bottom). Made of lightweight fiberglass. Requires painting and installation.